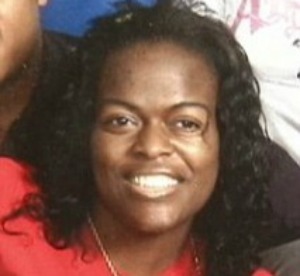 14-year old Joshua Smith, shot his mother 36-year old Tamiko Robinson, as she laid sleeping on a couch. He apparently shot and killed his mother because she would not allow him to hang out with a gang of older boys in the neighborhood. A little after midnight on Monday, Smith broke into his stepfathers room and retrieved his 12-guage shotgun and began shooting throughout the house. Smith's 5-year old sister and step-dad where able to escape through a window, the mother wasn't so lucky. An angered Smith who stands 6'2 at 14-years old, recently ran away from home, but his mother was able to find him and bring him back to what she thought was safety. Robinson who was suffering from autoimmune disease lupus and receiving kidney dialysis wanted to prevent her son from joining the street gang of older boys who spent most of their time smoking weed and popping pills. This is the part where people's mouths hang open, as they realize what they thought was the solution and truth is not. Many people have been duped into believing that parents alone can control their children and hold the keys to their children's positive development. They chose to believe this as if families live in isolated vacuum's that protect them from ENERGIES outside the family unit. The Devil will lead people to believe this because it puts people in a state of passivity and allows negative ENERGY to continue to grow. He would never reveal the truth. He would never make it clear that a parents success also depends on the environment that the child's raised in and the culture that they're exposed to. Though most parents aren't murdered by their children, there are many parents like Robinson. Parents who attempt battling ENERGIES that are too overwhelming for them to conquer. This is rarely spoken about. Many of the youth who victimize people in the community have parents that would not approve of their behavior, but the streets and the culture swallow them up and the parents are left helpless. The Universe would never allow parents alone to be the determining factor as to whether their children choose to do right from wrong. We all have a responsibility in making sure that children grow up in environments that promote healthy decisions and environments that don't empower negative mentalities. We have failed in doing this. A good way to determine this and understand that we have failed, would be the fact that gangs went beyond just local gangs and the ENERGY of gangs took over this nation. The "Bloods" and the "Crips" became more than just a problem in L.A., they became a nationwide epidemic through their ENERGY being transmitted through this culture. Because this was allowed to happen, gangs in general, have a strong ENERGY and it's resulted in many smaller gangs forming in one community. Once that happens if forces many young men to feel as if they must join a gang, for protection, safety and status reasons. We allowed that, we also allowed the ENERGY and notion that Black men cannot stand alone. This culture promotes this overwhelming ENERGY. Most Black men in the spotlight travel with a gang of men and make their affiliation with their crew of men seem like a life-line. Through the culture they will vocally proclaim that they will do anything for their crew/gang. We have failed at teaching Black men the necessity of standing alone and the importance of making individual decisions. Black men are taught to make decisions collectively depending on who they are surrounded by. Well here we have a young man who will learn the hard way, the truth behind the illusion. No one in his gang will face the charge of killing his mother, he will have to do that on his own. He was lead to believe he needed his gang and could not live without them, and now he will have to do just that in the worst way.